So what does a foodie keep in their pantry anyway? A great book has just been published called Inside Chefs’ Fridges, which reveals what top international chefs keep in their fridge. A fridge is the window to the soul you know. I’ve always believed this, in fact my retro black Smeg fridge is the most beloved (and expensive) item in my home. Inside is a mix of fresh ingredients and panoply of condiments and sauces, but no pickled marigold flowers or frozen flies which is what turned up in some of the chef’s fridges. But to me the real action is in the pantry. 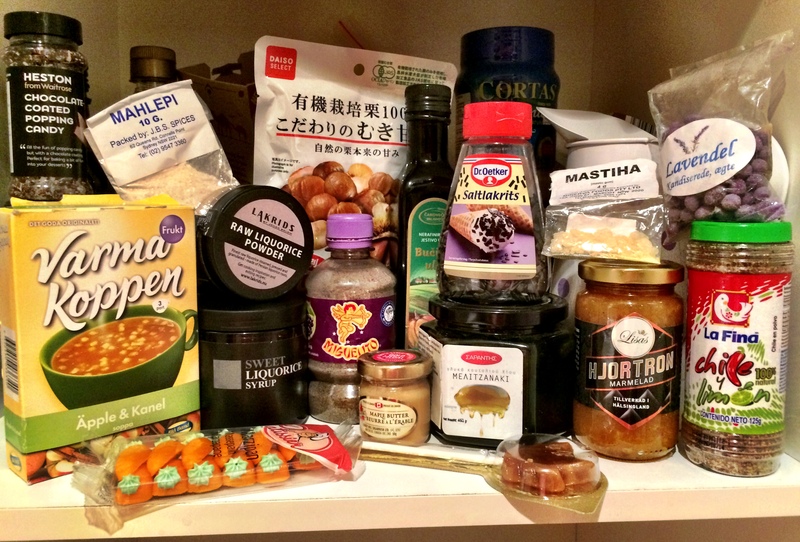 A quick stocktake of my pantry reveals a strange mix of ingredients from near and far, with bits and bobs from Greece, Croatia, France, Sweden, Finland, Mexico, Canada and Japan. My love affair with cloudberries is no secret. I would probably devour a jar a week if this prized ingredient wasn’t so rare and expensive. My stocks are low at the moment and this beauty came from my colleague Sally who was in Sweden recently. I’m holding onto it for dear life until I can stock up again. The stuff in the packet is fruit soup from Sweden. 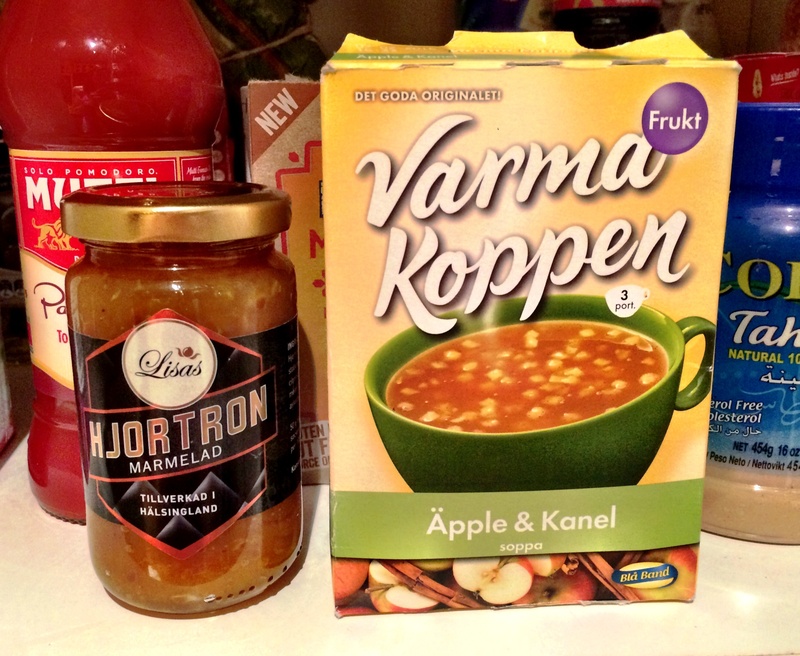 My Swedish friend Johan introduced me to the whole concept of sweet soups through his love of blackberry soup and I had to have the supermarket version, in apple and cinnamon flavour. I have an entire cupboard of sweet-related bits and bobs but these are some of my favourites. The chocolate coated popping candy is from the UK and is yet to pop up in Heston’s range in Australia. 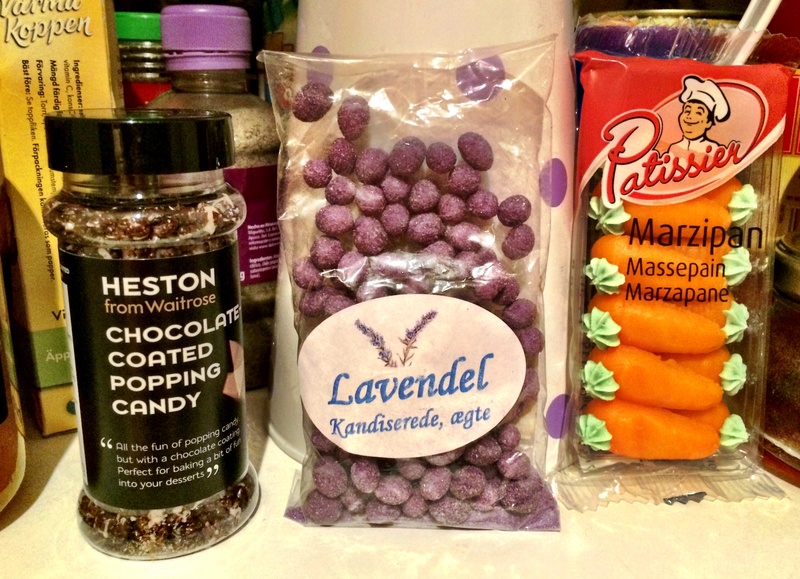 The lavender sugar balls were gifted by my beautiful French friend Agathe who instinctively buys anything purple and edible she sees, just for me. I’ve waxed lyrical about the marzipan carrots before, they are one of my ultimate supermarket finds and look awesome atop any carrot cake number. I came back with a backpack of food when I went to Mexico – there were just too many tempting treats! 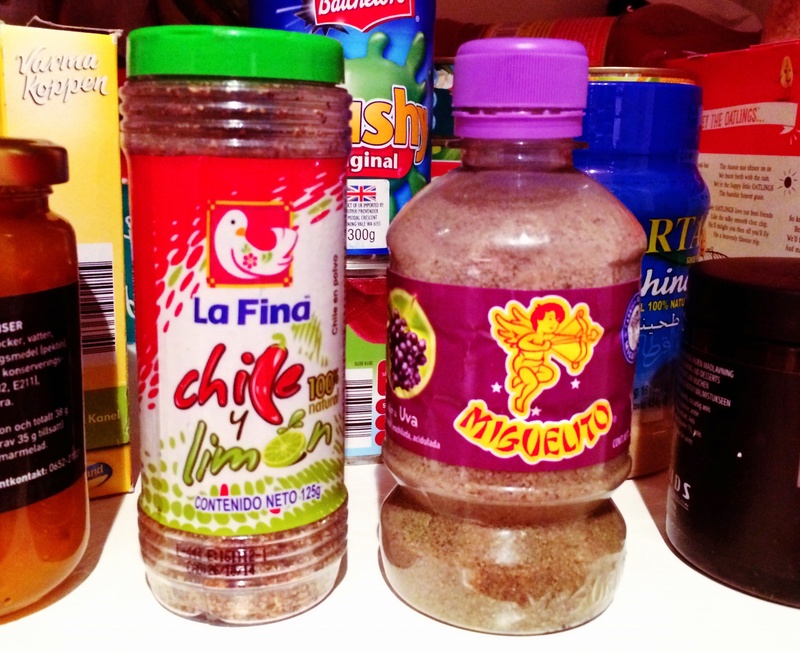 My favourite discovery was Miguelito – this stuff is sensational. Part sugar, part salt and a whole lot of chilli, I love it on the rim of cocktails or to dip fruit in. The Mexicans eat it straight from the packet. The chile y limon mix is great for dusting on vegies or anything needing a kick. 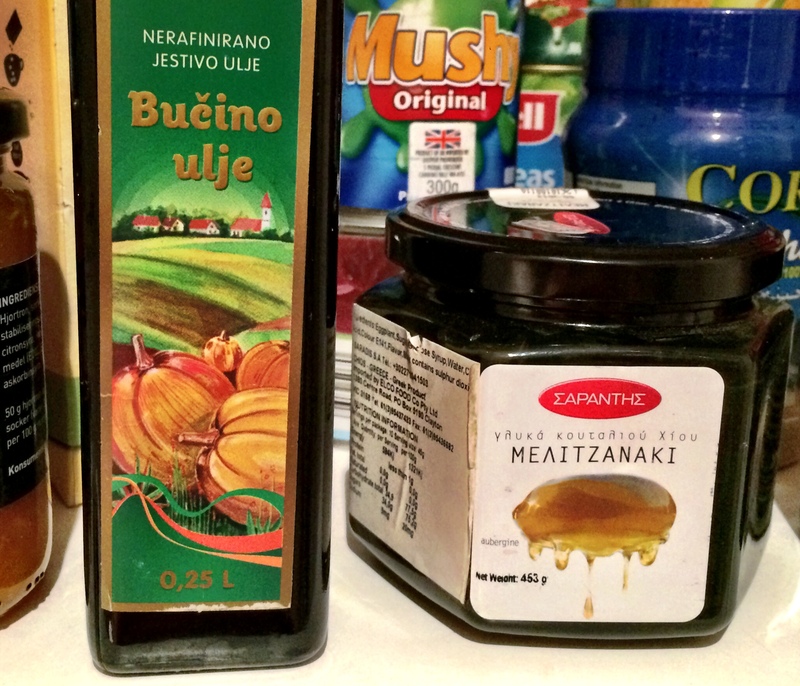 The pumpkin seed oil was a gift from my favourite Croatian. Neven brought a bottle back from his home town where they drizzle it on pumpkin soup. It has a really distinctive, quite nutty flavour and I’m yet to see it anywhere else. The ‘melitzanaki’, or ‘little aubergines’ are Greek spoon sweets. The Greeks love to take any fruit or in this case vegetable, and douse it with a sugar syrup. Tastes fantastic every time. Last year I totally embraced the Skandinavian obsession with liquorice. I am fascinated by the salty variety and also love how they play with the rich aniseed flavour which takes it far beyond the Darrell Lea stuff I grew up with. I particularly love the Danish brand Lakrids who do all sorts of exciting things with liquorice in uber cool packaging. 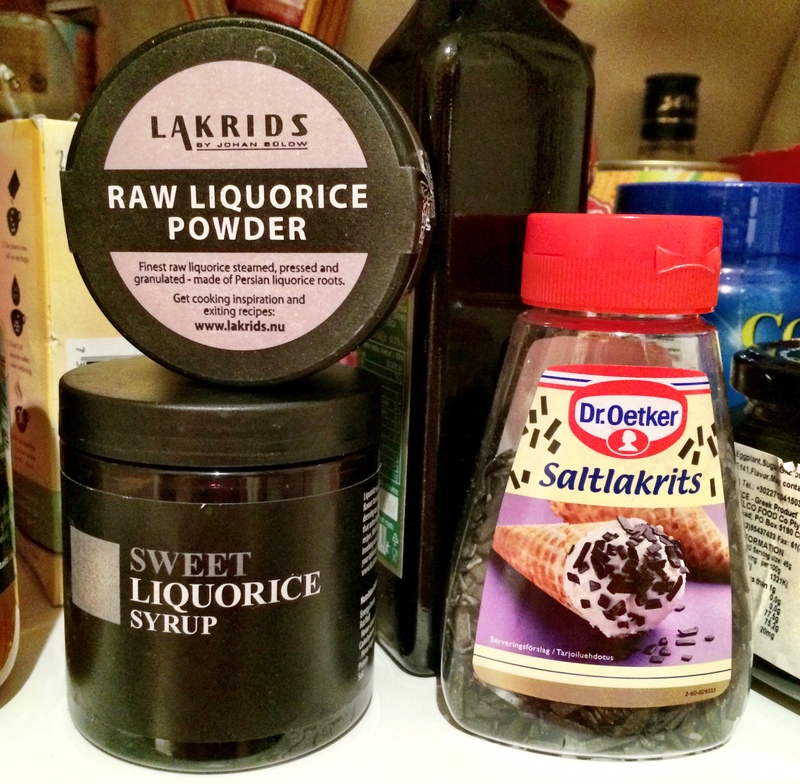 I picked up some raw liquorice powder and sweet liquorice syrup in Sweden, and the Saltlakrits or salty liquorice in Finland. So far I’ve made liquorice ice-cream and sprinkled the flakes on desserts but I’m keen to explore more uses for this great stuff. 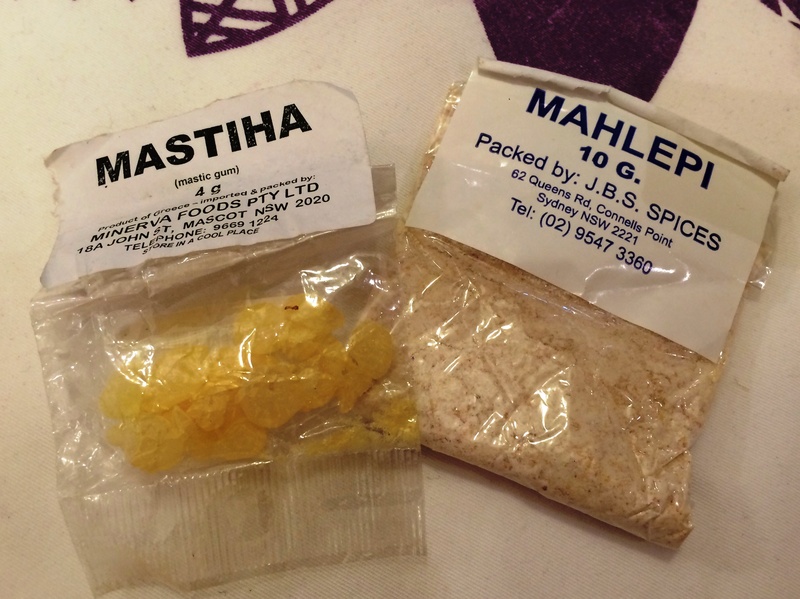 Mastiha and mahlepi are two key Greek spices. Mastiha is made from the sap of trees that only grow on the island of Chios and is used as a spice in sweets. Mahlepi is made from the ground stone of the St Lucie cherry and has an almondy flavour which can be used to replace vanilla in baking. These were given to me during a Kytherian Kitchen class a few years ago when we learnt to make koulouria with the mastiha and sweet paximathia and tsoureki with the mahlepi. I think I’ll make a pantry stocktake a regular occurance and use it as inspiration to get out my exotic ingredients more often. I just hope my Smeg doesn’t get jealous! My pantry is your pantry!